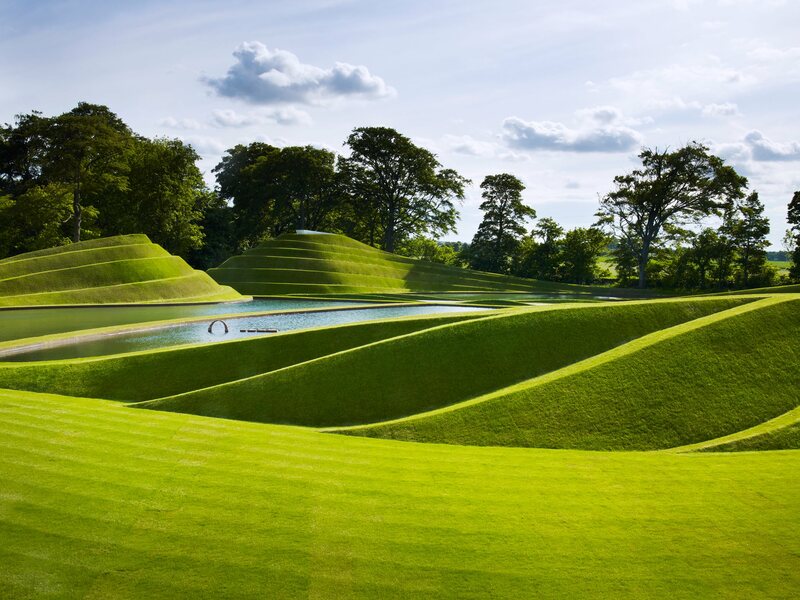 Set within the picturesque 80 acre estate of Bonnington House, Jupiter Artland is the brainchild of Nicky and Robert Wilson. The garden is a whimsical collaboration between the family, the artists and the landscape. All the works are site specific and personal to Jupiter. Full of surprises, from the initial confrontation of Charles Jencks' 'Life Mounds', which visitors drive through on entering the park, to the jovial creation by Jim Lambie, which both delights and astonishes. With no set routes through the park and an emphasis on exploration and discovery the individual is left to engage with the artworks and the land as a whole.